Located just north of Mandalay on the banks of the Irrwaddy River, Sin Kyun is a small remote community that specializes in peanut farming and hat making. Working with the village Chief, Abercrombie & Kent Philanthropy and our guests, have built much-needed community facilities including a living quarters for teachers and a middle school, as well as providing emergency assistance during severe flooding. The Sanctuary Ananda guides have also run a Summer English Camp for the students of the school. While cruising on Sanctuary Ananda, visit this remote island and witness their local way of life. Meander village pathways and watch the process of creating traditional handicrafts. See the new middle school and teachers’ living quarters. 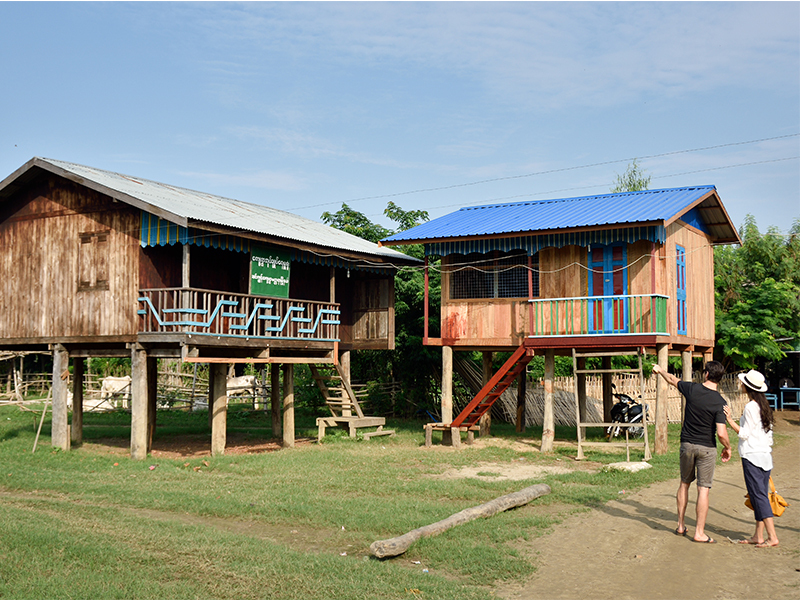 A&K can include a visit to Sin Kyun Village on a Tailor Made Journey to Myanmar. Contact our offices in Australia, the UK or the US for assistance in creating an itinerary just for you.